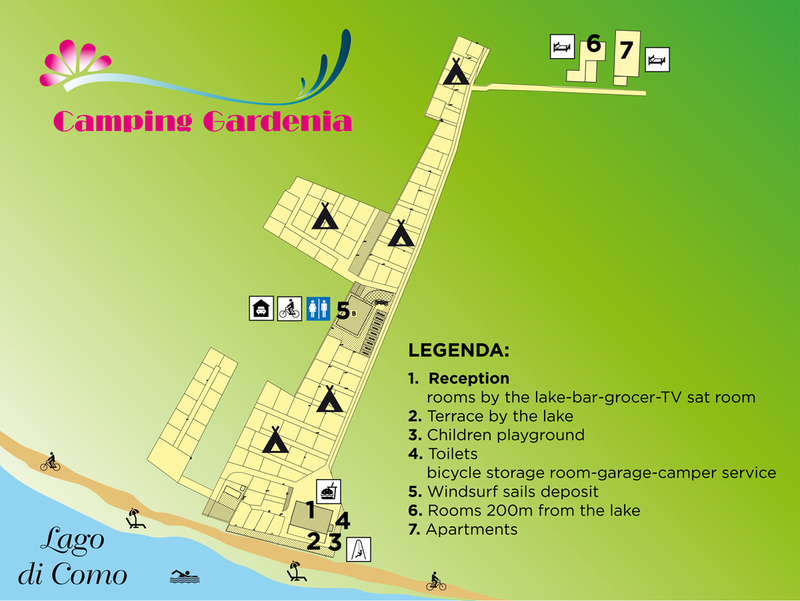 Camping Gardenia is situated directly on the beach in the lovely village of Domaso and has a privileged location surrounded by the mountains and brushed by the “Breva”, the wind that blows from the south. 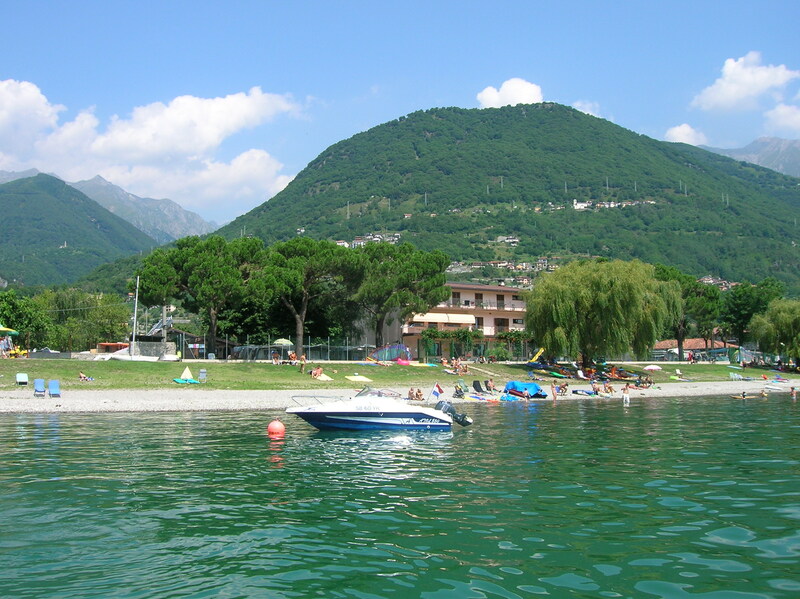 We are connected to Domaso by a pedestrian-cycling promenade and the centre of Domaso is only a short walk away. 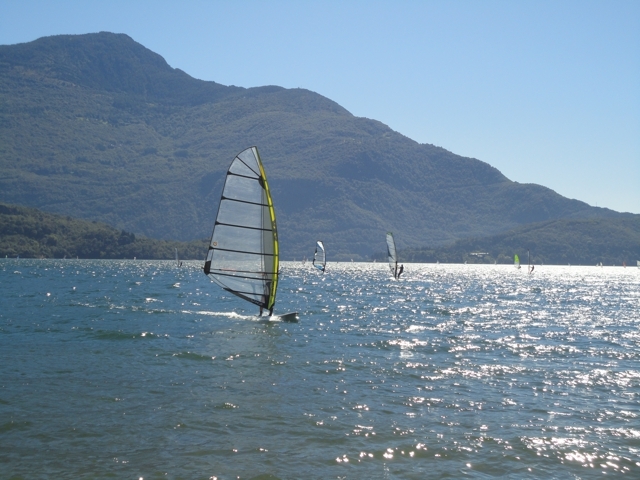 Walking in the other direction you will discover fantastic views, many tiny beaches and a pleasant walk along the lake. 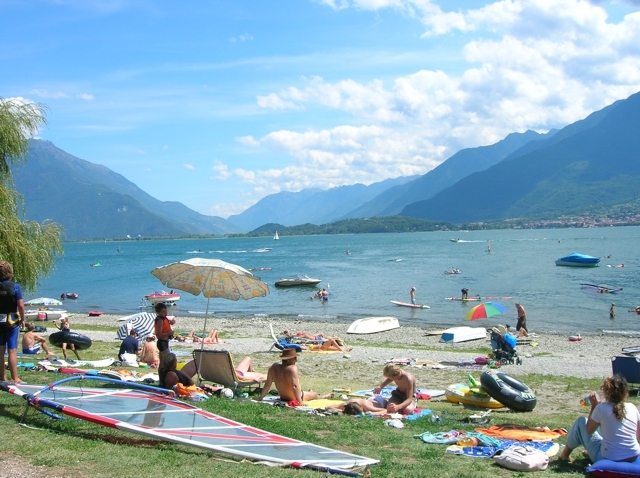 The fusion between nature, sport, relaxation and local food makes Camping Gardenia the ideal place for your holidays at Lake Como. There are 91 pitches, all about 60m2, within our 10,300m2 grounds. 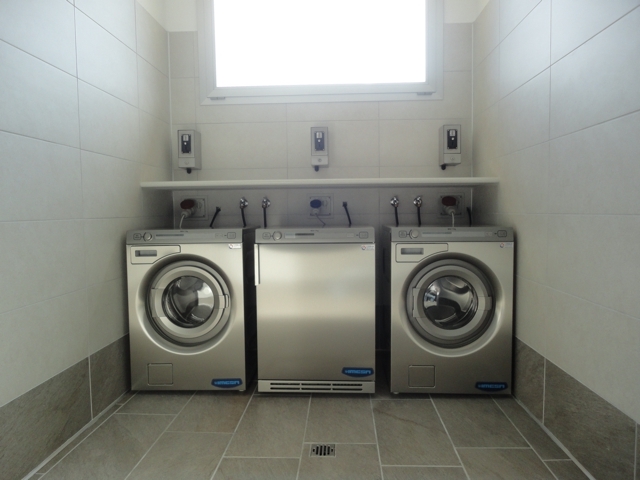 Each has the option of electrical hook up (4 or 6 Ampère). 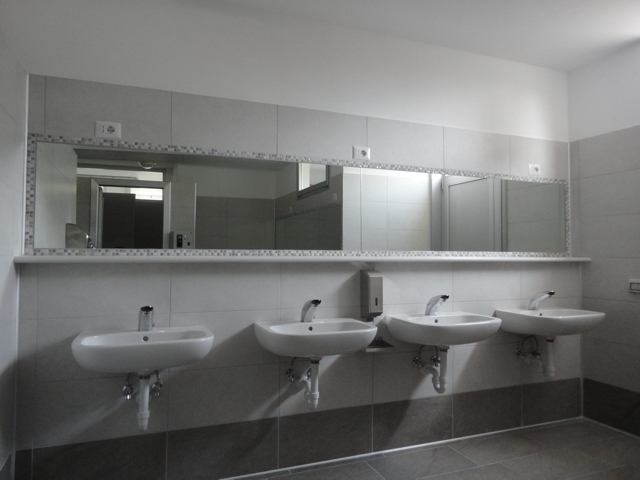 The toilet and shower facilities are modern and clean being newly built. They’ve been designed with great attention to detail and are easy for all to access and are even child friendly. 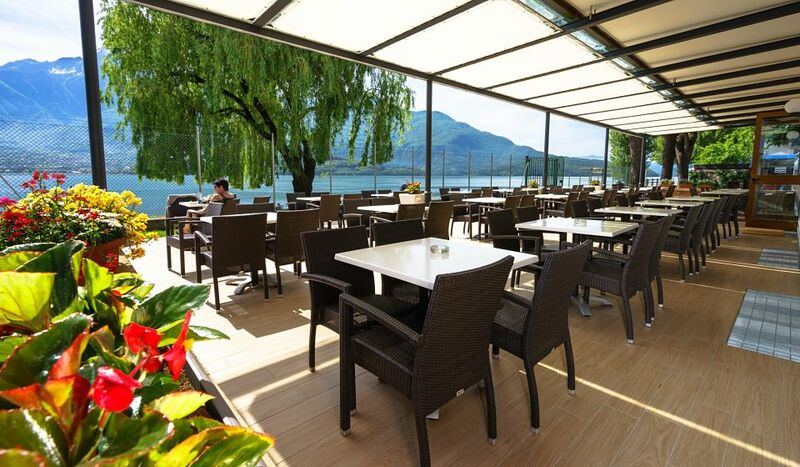 Camping Gardenia has a bar with a beautiful terrace overlooking the lake. Many guests choose to start their day with breakfast on the terrace. 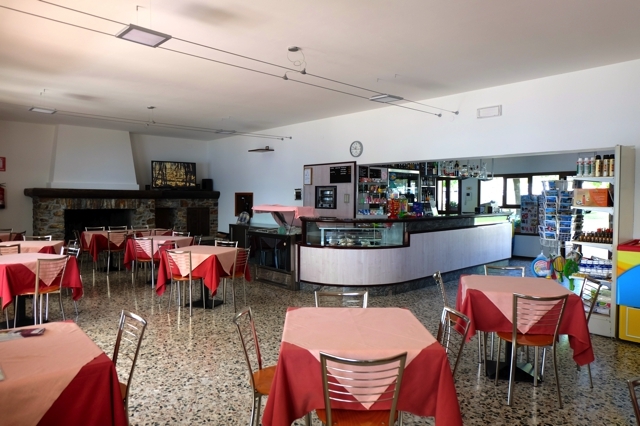 In the afternoon drink an aperitif in the shade and socialise with others around the bar at night. 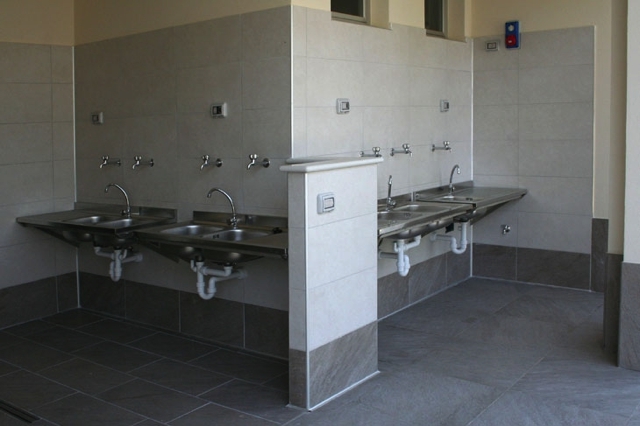 The main building also provides a small grocery shop, a TV room with satellite programs and an outside playground for children with climbing frame and slide. 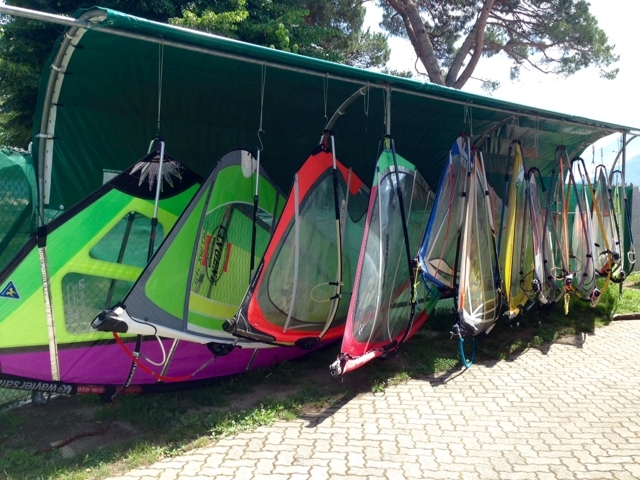 There is a laundry room with washing machines and a dryer, a bicycle storage room and a special storage shed for windsurf boards and sails so you wont have to de-rig your sails each day. A Wifi hotspot offers internet access. 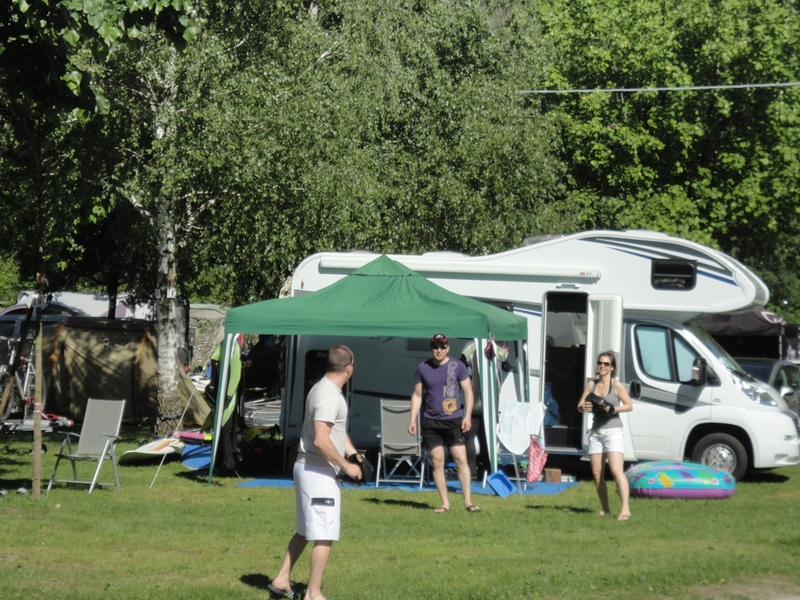 Dogs are welcome at the campsite but during the peak season, from 08-07-2018 until 19-08-2018, dogs are not permitted.